If you’re looking for one of the best automatic floor cleaners for sale, then the Mint Plus Automatic Model 5200 is a great one to choose. 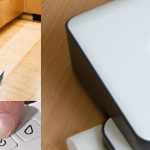 It comes with all you need to just plug it in and let it do its work, leaving you to spend less time cleaning. The Mint is especially built and designed with conventional floor cleaning and also wet floor cleaning in mind. The design of the mint means it is able to wipe and clean the dirtiest floors, tiled or wood surfaces. It will catch and wipe dirty paw or foot prints, and also pet hairs, which are common causes of allergies, and is ideal for any size of home, and especially if you find yourself already frequently using your existing floor. The Mint Plus Automatic Floor Cleaner 5200 is an easy to use cleaner that requires only a simple one touch, and it will do all the work for you, this is what makes it one of the most well respected automatic cleaners available today. 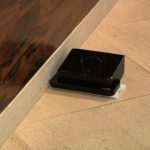 The technology that has been put into the Mint Auto is cutting edge, and comes with a built in Northstar 2 navigation system which, with the aid of accurate track sensors, gives the floor cleaner guidance and help. If you need to replace a cloth you can just pick it up, and it will stop automatically, and even remember the location of where it is, and how much it has already cleaned. 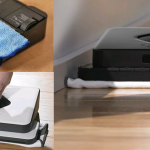 It can efficiently remove all pet hair from the floor, including cat and dog hair. 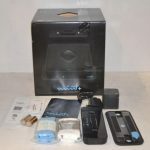 It has excellent cleaning abilities for all round the home, and will easily clean just as good as you would with a conventional cleaner, except this can also do wet and dry cleaning. A great feature of this hard floor cleaner is that it is super quiet, and can happily work at night without you even getting disturbed. If you have a really large floor to clean, you can use multiple floor cleaners, and they can detect and work with each other to cover the floor in the most efficient way. The Mint Automatic deals with dry mode and wet mode which means it is ideal for any type of wooden surface, laminate and tiled floors. Cleaning cloths are supplied, for when you want to wet clean your floors, and it comes with a unique reservoir pad which allows it to hold a larger capacity of water when cleaning up. It is supplied with two microfibre sweeping cloths along with two microfibre mopping cloths and these are separately available to purchase in packs of three. The microfibre cloths are specially designed and easily fitted for effective use and can be re-used multiple times. The mint floor works by charging itself in its own charging cradle. It normally takes around two hours for a full charge to complete, and when it is finished it will happily work away, and then return to its charging station when finished. 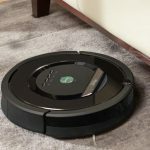 The Mint floor cleaner consumes less electricity than a stand up cleaner or Dyson, and in one charge can allow it to clean for three hours and wet mop for two hours. It can achieve up to 350 square feet in a single cleaning charge cycle. It will also learn about the location of your rooms and furniture, and then plan a route accordingly with its projection signal technology. 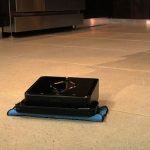 If you have not yet tried the Mint Plus Automatic Floor Cleaner, and you want to save time and money cleaning your home, then you should definitely check it out.